2: Share this link with your audience. For best results, leave it visible during your entire presentation (by writing it on a whiteboard etc) or include it on the first slide of your presentation. 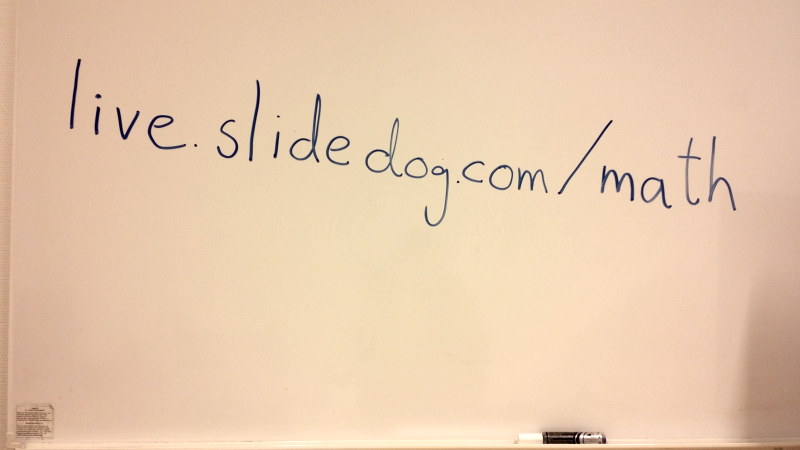 You can also tell SlideDog to display this link on top of the background image in the Preferences menu. 3: Now, add your presentation files and click START SHOW. 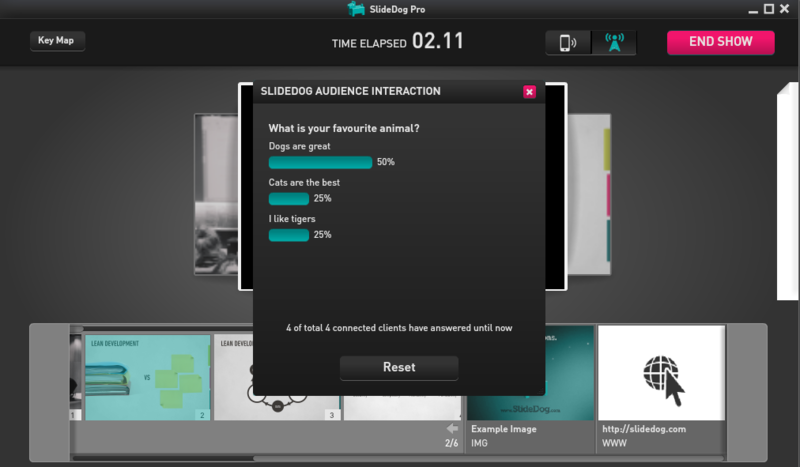 SlideDog will broadcast your slides to all connected devices. To start an interactive poll, open the Live Sharing menu, click “Start a Poll” and enter your question and answer alternatives. An answer form will pop up on all connected devices and the results will be presented for you in real-time. Live Sharing opens up for tons of new ways to present. 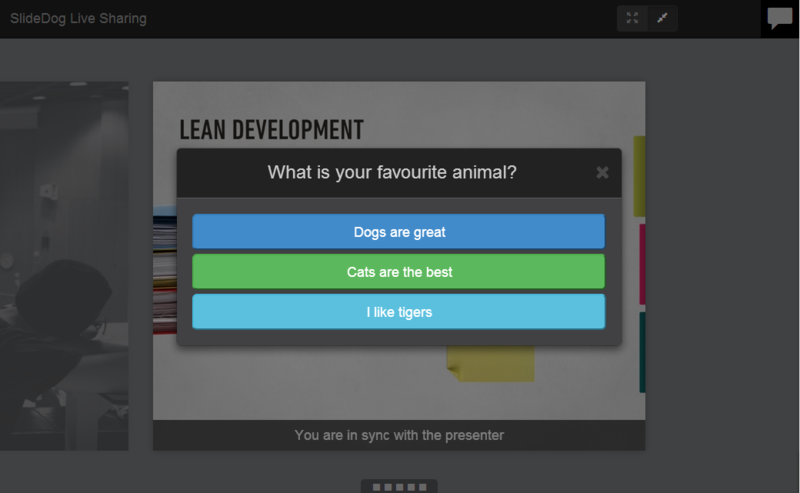 Use the chat feature to start discussions or to receive questions, start interactive polls to find out what the audience thinks about a subject, or ask for feedback on your presentation material. No matter how you use Live Sharing, we would like to hear about it in the comments section below.